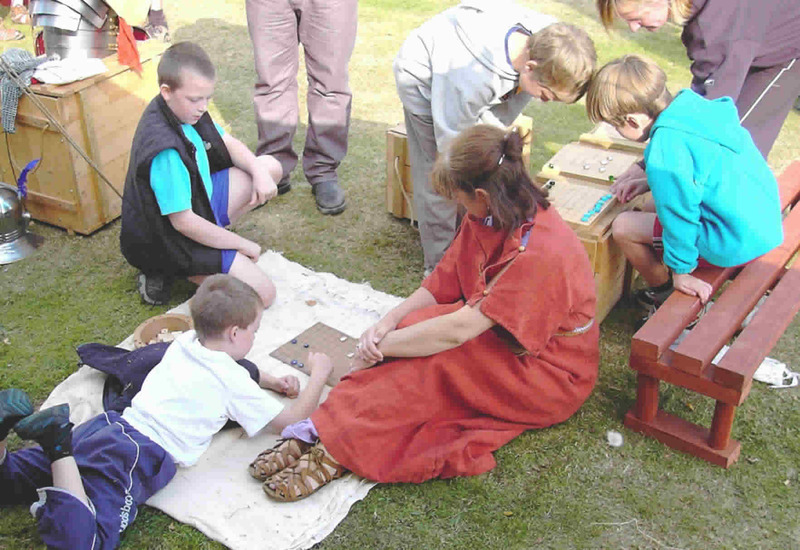 Lunt Roman Fort attracts many types of individual but one of the most common are living history enthusiasts. Whether they are cooking, lounging about on animal skins, playing with ferrets or fighting we find them a wonderful asset to the site. This is a list of some of our favourites. The largest (and one of the oldest) re-enactment groups in the UK portraying the late Roman period. See our impression of life and combat on a small island on the edge of a dying Roman Empire and the end of the Classical age. Also – see provincial gladiators in action! It may be a long way from the Colosseum, but you will not be disappointed: A team consisting of criminals, barbarians and other prisoners of war, disgraced soldiers and thrill seekers will fight…for your entertainment! Sparta Mora is a wholly non-profit volunteer group based in Coventry in the West Midlands and is the UK’s only dedicated Spartan living history group We cater nationally for all manner of events including living historical displays, museum visits, school visits and more. All of our members have a passion for what we do and strive to show people what life was like in the 5th Century BC for Sparta and its allies. We aim to be as historically accurate as possible and achieve this through meticulous research, in co-operation with other groups around the world. Our aim is to educate and inform people about all aspects of Spartan life, whether it be military or civilian and its effects and implications on modern society. More than anything, we like to make it a fun, informative and memorable experience for all. We are always looking for like minded people to join our phalanx and help swell the ranks. However, if being a soldier is not your thing, then we also portray other aspects of Spartan society and would love to have you along. Above all, we make what we do as authentic, enjoyable and safe as possible for all involved. 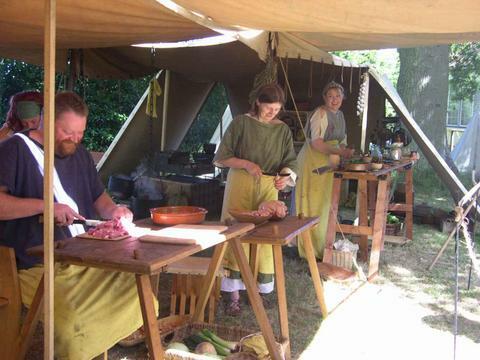 The Vicus is an Iron age and early Roman re-enactment society that interprets history through the media of experimental archaeology, reconstruction and living history. We hold events throughout the entire year, not just seasonally, that are both public and private in nature. Our public events are usually at places that are historically right or themed for our period. Private events can involve combat in woodland environments and craft skill exchanges. Batavian Auxilia are an elite group who have won a number awards for their living history. They regularly train at Lunt and because they have their own beer tent they are incredibly popular. Roman Fort at Lunt in Coventry where much of our training takes place. Although the main emphasis is on the Roman military, members are encouraged to pursue their own interests within the Society and our displays consequently cover many aspects of Roman life from religion and medicine to food, engineering and naval warfare. All armour, clothing , weapons and artillery have been made within the Society after extensive research and are as authentic as we can make them. Drill commands, songs and invocations are in Latin, as are the names of legionaries and civilians, helping to give a real flavour of the past. Coming from many walks of life we are nevertheless united by our enthusiasm for theRoman world and the Roman army and by our determination to inform, educate and enjoy !! Why not share the experience – new members are always welcome! The challengers form a tortoise at the granary and advance a hundred feet underfire to the gatehouse where, on the exhaustion of ammunition, you attack and take the gateway.